The two products I will be discussing today go hand-in-hand. One is brand new for 2014 & the other has been around for a while. Today I will be reviewing both products. They are the new EcoTools Skin Perfecting Brush for BB/CC creams & the Garnier Skin Renew Miracle Skin Perfector BB Cream in the color Light/Medium. 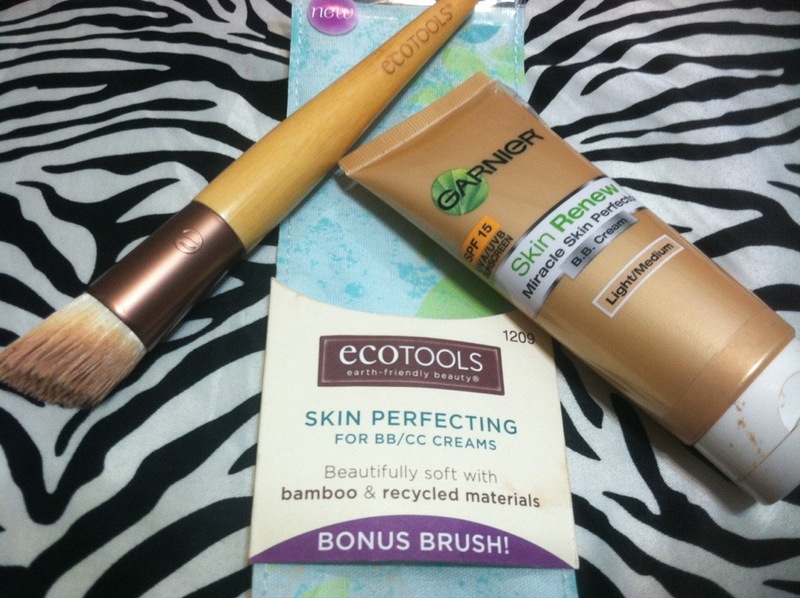 I purchased this new Skin Perfecting Brush by EcoTools from Wal Mart just the other day. To try it out, I used my old faithful Garnier BB cream. Before I move on, I should answer the question some of you may already have. What is a BB cream? BB creams (beauty balm creams) are lighter alternatives to foundation. They are essentially a tinted moisturizer that offers additional benefits such as SPF. CC creams (color correction creams) are similar products but usually promise long-term color correcting benefits for your skin. The main thing that makes this brush appealing is its shape. It’s tapered & slanted in a way that makes applying the BB cream around your eyes & nose easier. Needless to say, it could be used for foundation too. However, I will be reserving this brush just for BB creams. The quality of this brush, like all EcoTools brushes I’ve used is excellent. It’s soft. It’s durable. The hair doesn’t shed. The ferrule won’t come lose. It’s a high quality brush at a low cost. I recommend it, as well as the entire line of EcoTools brushes. As for the Garnier BB cream, I’ve been using this for several years, mostly during the summer. It has SPF 15, which has efficiently protected my skin on many sunny days. 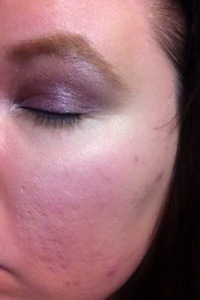 It goes on a bit greasy-looking, initially, but is quickly fixed with some setting powder. It has good staying power & it’s never broken me out. I have a before & after photo for you because photos speak louder than words. In the before photo, you can see I have redness on my cheeks & some hormonal breakouts along my jawline. In the after photo, I have applied the Garnier BB cream using the EcoTools Skin Perfecting Brush , then set it with some translucent powder. You can see a big difference. 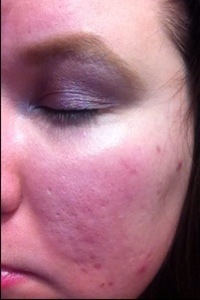 No, it doesn’t cover everything completely but most BB creams won’t. They’re meant to be lighter than foundation. So, as you can see, this BB cream, as well as the brush I used to apply it are doing what they claim to do & are doing it well. 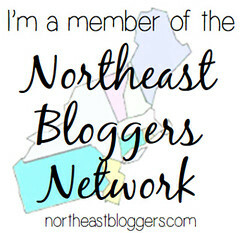 Overall, I give both products a huge thumbs up & fully recommend them. Have you tried either of these products yet? Let me know in the comments below. I’d love to hear your opinions. No, I’ve not tried either of these. I’m intending to get a new bb cream for the summer months though so I’ll have to make a note of this garnier one. It won’t be summer here for months though so yeah, I’ll be waiting a while, ha. The brush looks so interesting, I’ve never used a brush shaped like that! Totally going to pick up both of these the next time I go out!